The KM and Innovation Research Centre of the Hong Kong Polytechnic University has helped close to 200 organisations in their KM journeys, through expert advisory and in many cases direct involvement. Types of project range from KM readiness assessments, knowledge audits, strategy formulation, taxonomy design and maintenance, cultural assessment and organisational change, knowledge retention from near-retirees, and many more. In this presentation, which was a 2015 winner of the European Conference on Knowledge Management's KM and Intellectual Capital Excellence Award, Professor Tsui will share the lessons learnt from this wide ranging involvement in KM implementation journeys. Professor Eric Tsui is Associate Director of the KM and Innovation Research Centre (KMIRC) at the Hong Kong Polytechnic University. Appointed as the Professor of Knowledge Management at the University under the President’s Distinguished Professionals Scheme in September 2002, Eric Tsui joined the University as a full time staff in March 2005. In the past 10 years, he has designed and delivered numerous public and custom-designed knowledge management and technologies workshops. He has also consulted for many government departments and private organisations in Australia, Hong Kong, Thailand, Singapore, Malaysia, and Brunei. Eric is Vice President of the Hong Kong Knowledge Management Society, an honorary advisor on KM to the Hong Kong Police College, and a member of the IT Technical Advisory Sub-Committee in the Hong Kong Hospital Authority. 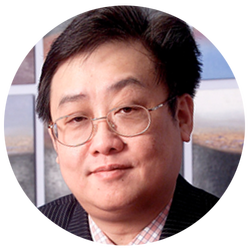 Professor Tsui is also the Chairman of the Advisory Committee on eLearning, Chairman of the HKPolyUX MOOC Steering Group and Facilitator of the Community of Practice on use of Learning Management System to enhance Teaching and Learning at his university. Originally scheduled Tuesday 14 June 2016, 6pm-7.30pm. This event has been postponed - we will update this page when we have a new date. ​Managers who are working in knowledge organisation, knowledge management or information management roles. Use the form below to register, or email us your Name, Organisation Name and Contact No. to iskosg@gmail.com or call us at +65 6221 0383 (Ng Wai Kong).